The November elections are here. To help you prepare, here’s a look at the candidates on Tuesday’s general election ballot, with biographies reported and compiled by Globe staff and correspondents. Many candidates have also filled out a brief survey at our request. Some responses have been edited for clarity. 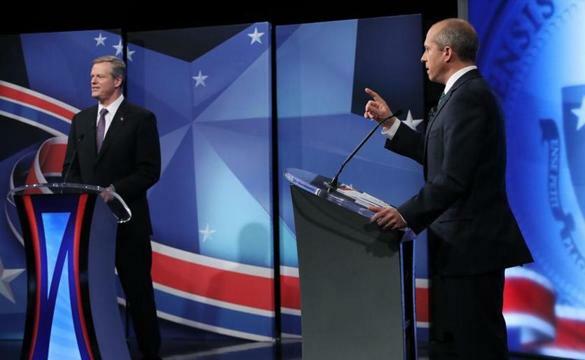 Governor: Republican Governor Charlie Baker is running for a second term against Democrat Jay Gonzalez. Attorney General: Incumbent Democrat Maura Healey is running for another term. She is facing a challenge from Republican James McMahon. Secretary of State: After fending off a primary challenge, incumbent Democrat Bill Galvin is running against Republican Anthony Amore and Green-Rainbow candidate Juan Sanchez Jr. in the general election. Treasurer: Democratic incumbent Deb Goldberg is running for re-election against Republican Keiko Orrall and Green-Rainbow candidate Jamie Guerin. 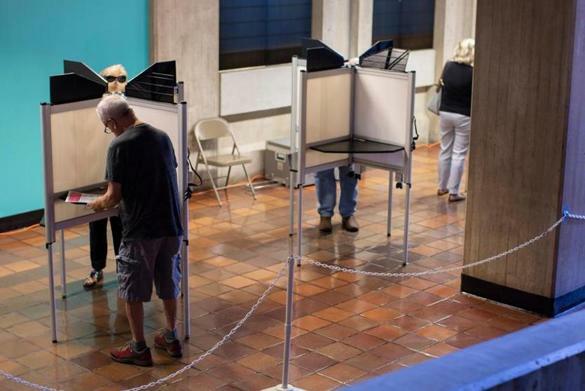 Auditor: Incumbent Democrat Suzanne Bump is facing three challengers in the general election for auditor: Republican Helen Brady, Libertarian Daniel Fishman, and Green-Rainbow candidate Edward Stamas. In the race for US Senate, Elizabeth Warren is running for re-election. She faces two challengers: Republican Geoff Diehl and independent Shiva Ayyadurai. Third Congressional District: After prevailing over a packed field of Democratic candidates, Lori Trahan will face Republican Rick Green and independent Mike Mullen for this open seat. Fourth Congressional District: After defeating a primary challenger, Joseph Kennedy III is not facing a Republican opponent in the general election. Fifth Congressional District: Representative Katherine Clark, a Democrat, is facing Republican John Hugo as she runs for re-election. Sixth Congressional District: Incumbent Democrat Seth Moulton is seeking another term, and will face Republican Joseph Schneider and independent Mary Jean Charbonneau on the November ballot. Seventh Congressional District: After succeeding in her bid to unseat incumbent Representative Michael Capuano in the primary, Democrat Ayanna Pressley is not facing a Republican candidate on the November ballot. Eighth Congressional District: After fending off a primary challenge, incumbent Democrat Stephen Lynch is not facing a Republican on the general election ballot. These are the House and Senate races to watch around the country. These contests will probably decide which party controls Congress. After topping a field of five candidates on the Democratic primary ballot for Suffolk County District Attorney, Rachael Rollins will face independent Michael Maloney in November. Question 1 would limit the number of patients assigned to nurses working in Massachusetts hospitals. Question 2 would create a commission that would work to overturn the Citizens United Supreme Court decision. Question 3 asks voters whether they approve of the existing state law barring discrimination against transgender people in public spaces. 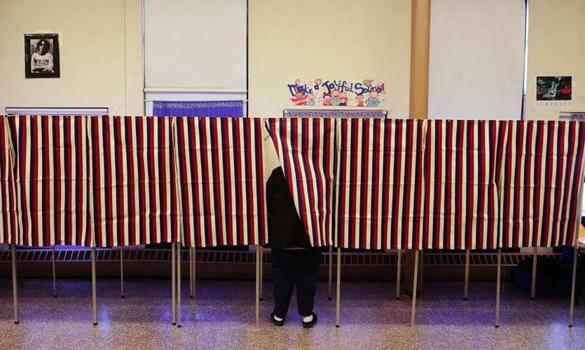 Guide to the Editorial Board’s endorsements: The Globe Editorial Board interviewed nearly 20 candidates running in the major state contests and representatives for each ballot question to evaluate the best solutions for Bay State residents. Here are their endorsements. The Globe’s primary guide was written by Globe correspondents Matt Stout, Marek Mazurek, Sophia Eppolito, Morgan Hughes and Jamie Halper, as well as Joshua Miller, Maria Cramer, Michael Levenson, Milton J. Valencia, Priyanka Dayal McCluskey, Stephanie Ebbert, and James Pindell of the Globe staff.